And Suddenly, We Have A Solution! Who’s Going to Counter Trump? 003_How Do We Protect Ourselves? “Two years of CORE Resonance Training™ is the equivalent of well over 30 years of meditation.” That’s a pretty startling statement but because I presently have a background of 38 years of meditating (since Nov 1973), I can attest to the insights and outcomes of a life of meditation. As the developer of CORE Resonance Training™, I can also attest to its effectiveness and thus make this statement. CORE Resonance Training™ is far more than a promise. CORE Resonance Training™ (CRT) is a means by which one can achieve something totally unheard of—unless you were lucky enough to begin meditating in your teens or early twenties. Just in time for the 21st century, balancing your nervous system is becoming recognized as the key to your personal evolution as well as your very survival in unprecedented times. Because reacting to life is not only ineffective, it typically creates new problems that are also reacted to, and thus our lives take on a “life of their own” (Momentum) that may not serve us well. As life moves ever faster; as we are constantly confronted with information, choices and decisions, we react to life until we simply wear ourselves out, shut ourselves down (and die). Because life is moving faster and faster in the 21st Century, reacting to life is becoming less and less an acceptable means of accomplishing tasks because we simply cannot keep up! Instead, we must achieve a Gap between the world, its gyrations and ourselves. This pause, this Gap, moves us out of our instantaneous mental, emotional and physical reaction, but more importantly, allows us access to a natural state of insight. And, as we become able to access this Gap, we discover access to Innate Intelligence and Innate Guidance and our world begins to calm down. Inner (and outer) peace has always been the promise of meditation. A quieting inside, a discovery of one’s inner self and an introduction to one’s very nature introduces us to a new understanding of how life works—far beyond what the mind can conceive or achieve on its own. Far less reactive and far more whole, a balanced nervous system offers alignment with an order than knows no bounds—an order that every other form of life on this planet shares. Thus we become enabled of a magical synchronicity with life and harmony and order. But unless we have built a lifetime of meditation practice, we are simply out of luck because meditation takes a lifetime to achieve advanced results. CORE Resonance Training™ rapidly balances the nervous system even beyond what meditation can accomplish. 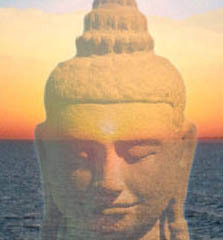 And just as meditation is a technology devised by adepts thousands of years ago (originally identified in the ancient Hindu Vedas) for advancing consciousness, humanity has sprung forward with another technology to more rapidly bring one to unparalleled depths of insight, vision, alignment and order. By balancing the brain and nervous system and re-enabling one’s connection with Source, otherwise known as Innate Intelligence, we move from reacting to the world and instead meshing with the world in partnership with Innate Intelligence. Allowing and nonresistance become our very nature. And, of course, if technology is to be truly useful, it needs to invoke truly useful mechanisms. While most medicine and “empowerment” is guided and driven by the hand (and mind) of man, CORE Resonance Training™ utilizes state of the art neurofeedback crafted to allow the brain to see itself and reorganize itself (itself). While most neurofeedback is designed to address particular problems with the insight of a technician attempting to adjust frequencies of the brain, Core Resonance Training™ uses exercises to allow the brain to see itself through the software and reorganized itself—itself! Because of recent advances in technology, we can allow the brain to experience itself, similar to a blind person suddenly becoming able to see. And, just as someone regaining their vision will begin to reorganize their surroundings, i.e., clean their house and put their surroundings in order, the brain will do the same. This is how CORE Resonance Training™ quiets the brain and allows the natural state of connection to become available. “I explained a bit about CORE Resonance until she got the idea that using the mind was a defensive mechanism. She agreed that it is difficult to operate in a man’s made world. Once she saw her mind as a male’s construct for managing her world, she let go and ended up with a huge experience.